Recently, a friend asked me over a glass of wine: “why the heck do we always seem to start yoga poses on the right side? I prefer the left!” I remember asking this exact same question to my “guru” in India when I first got into yoga, so I was able to answer with the basics. Since he had asked the question rather flippantly, he suddenly sat tall and his eyes lit up—having not actually expected an answer. My initial answer is complex, addressing the energetic, traditional, historical, and scientific perspectives. My final conclusion, however, is simple. That night I explained to him that in yoga, we conceptualize a vital energy, or prana, as flowing throughout the body but concentrated along the spine. 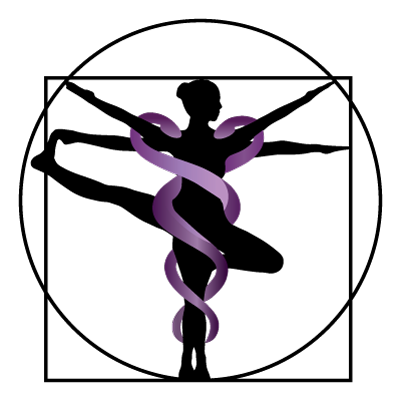 I mentioned to him an image that we all know — the symbol of medicine (aka the caduceus) — of two snakes wrapped around a single pole. Before this became the universal representation of modern western medicine, it had many roots, including in yogic tradition. The two snakes represent the feminine (called ida) and masculine (called pingala) energies. The energies flow in balance around the central channel (called the sushumna). This masculine and feminine balance is also seen in the word “hatha.” Hatha yoga is the most common type of yoga practiced in the world, from which all other types stem. “Ha” means sun or masculine energy and “tha” means moon or feminine energy. Did you notice the last word on each column? So, then follows the question: why do we begin our asana practice with the masculine energy first? (And is it sexist?) Well, the answer is likely simple: it is tradition. Starting with the right doesn’t mean that the masculine energy is “better.” Remember that the concept implies that both parts are equally beneficial and work in union. Our prana, or life force, depends on the two in balance. Since I also teach Tai Chi, I find it curious how most of the sequences start with the left in this practice, representing the yin or feminine energy. Why? Perhaps because Tai Chi is a peaceful, defensive practice, rather than an offensive martial arts? Well, we could speculate in circles, but I think it is likely simply tradition in this case too. That was my answer to my friend. I knew there must be more, so I told him I would look it up and get back to him (and so this article was born). What I found was that the tradition of the right side being first and holy runs deep. Traditionally, in India, gifts are given with the right hand. For luck, you step into newly constructed buildings with the right foot first. Then, I remembered my mother telling me that when she studied abroad in India and Sri Lanka during college, the tradition was that you always ate and greeted people with your right hand and used the left hand in the bathroom. Since sanitation was not historically the best, such practices were not only holy, but also just safer. Maybe, something as practical as this is the true root of this tradition. Is the real reason we start our yoga poses on the right side because of sanitation concerns during medieval times? After exploring energetic, traditional, and historic reasonings, I had to dive into the possible scientific perspective. I am into anatomy and physiology as a side gig. So, naturally, I have tried my hardest to justify the possible benefits of starting with the right. We might twist to the right first to aid in peristalsis since the vital organs run clockwise throughout the body. When twisting to the right, perhaps we help move things across the transverse colon toward the descending colon and, ultimately, out. Maybe we turn to lie on our right side after Corpse pose because our heart is on the left side. Being on the right can help distribute the blood better through the body with the aid of gravity. We activate the left side of the brain when we move the limbs of the right side, accessing the thinking mind. Maybe we must start from this logical perspective (because that is how our mind mostly processes in our day-to-day lives) before we can delve into the right brain, which generally lends itself to creativity, spirituality, and a meditative state. Although these things may be true (and fascinating to think about), the effects are likely minimal. In a last ditch effort to get to the bottom of this mystery, I messaged every yoga expert and master teacher that I knew (and I know a lot). The response was almost laughable. Most said that they start with the right so they remember which side that they have done or taught. I sent a Facebook message to my “guru” in India and he told me pretty much exactly what I wrote above (he must have taught me well). However, most people I reached out to hadn’t given it much thought. My Simple and Final Conclusion: It. Is. Tradition. Personally, I find tradition and rituals fascinating and fulfilling. They enrich our lives with mindfulness, and, perhaps, our culture doesn’t value them enough. In the end, whether you decide to start with your right side or left, do it mindfully and intentionally. Remember which side you start with (especially as a teacher!) so you can do both sides and walk away from your practice feeling more balanced.